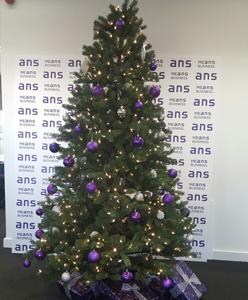 Make life a little more stress free this year by allowing us to deliver to your office or business premises a top-quality, pre-lit and fully decorated Christmas tree. 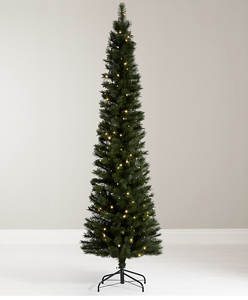 Our most popular artificial tree the De-luxe’ stands an impressive 7ft6ins tall and features a striking array of hundreds of white lights which can be switched to a variety of settings. 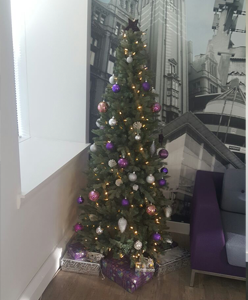 Each tree is individually assembled and decorated on sight and we offer a choice of festive colour themes including the ever popular white, red, silver gold and purple. 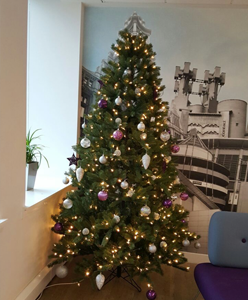 We feel sure you’ll be impressed by the lifelike appearance of our trees and you are guaranteed there will be no messy needle drop to clear ! All we ask is that we have access to a nearby socket outlet. 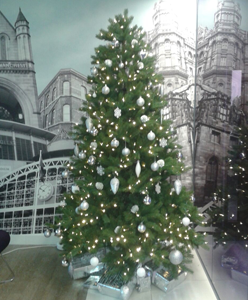 Where space is at a premium we offer a lower tree at 6ft or a specially selected 7ft narrow tree for tight corners. 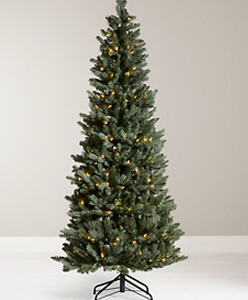 Trees are available for delivery from the end of November and will be promptly removed early in the new year. Please email us using the reply coupon on our website or telephone for prices and to place your order.